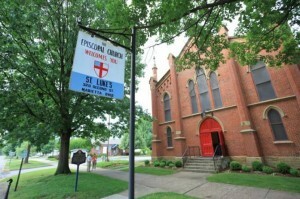 Welcome to St. Luke’s Episcopal Church in Marietta, Ohio! You have electronically entered a vibrant congregation of Christians who try to live out the Gospel of Jesus in this confusing, sometimes crazy, world. We are both traditional and progressive, focused and casual. We maintain unity in essential beliefs, freedom in non-essentials, and in all things love. We gather for worship on Saturdays at 6:00pm, and Sundays at 8:00am and 10:30am. St. Luke’s is currently experiencing consistent spiritual growth, as well as numerical growth. We see the Spirit of God leading us into service to our community and to the world. Check out our Vision Statement. There is a place for you in this community if you want to follow Jesus and serve the world in his name. We hope you will visit us for worship to feel the Spirit moving among us. When you come, wear whatever you are comfortable wearing. Some of us might be in suits and others in shorts and tee shirts. Don’t worry about it. An usher will greet you at the front door and will give you a leaflet that tells you how the service is conducted. You will notice that people are fairly quiet before the service, preparing themselves by prayer and reflection for the worship that is to come. Don’t let that worry you. Though we may be reserved at the beginning, we are anything but reserved after service is over. The service begins with a hymn and a procession of the ministers and choir. Then we listen to several lessons from Holy Scripture, hear a Sermon, and pray for ourselves and the world. After that we greet each other with a smile and a handshake in the name of the Lord. The next part of the service is the celebration of the Holy Eucharist, the sacred meal that Jesus commanded his followers to eat together as a way of making him present with us again. After a long prayer, which recounts the story of the first Eucharist (which means “thanksgiving”), we come forward to receive the consecrated bread and wine. All, visitors included, who have been baptized in any Christian Church are welcome to receive the Sacrament. Others, including those who have not been baptized and those whose churches do not permit them to receive in another Church, are invited to come forward for a blessing in the name of the Holy Trinity. What happens after the final hymn is also extremely important. We go into the parish hall for a time of refreshment and socializing. This is when you will meet people just like yourself who have made St. Luke’s their parish home. You can ask them any questions you might have about what it’s like to be a part of this community. 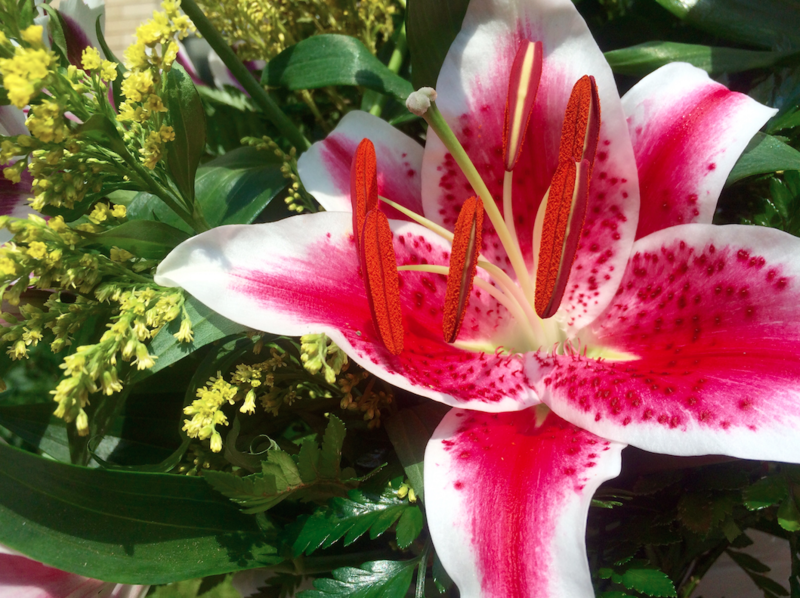 We hope that you will take the time to visit with us. We like new faces. We have found that soon enough, many of them become good friends.